Chris Sale must have thought he was dreaming. His new team squared-up some baseballs, put them in play and ran around the bases enough to score runs. Miraculous! 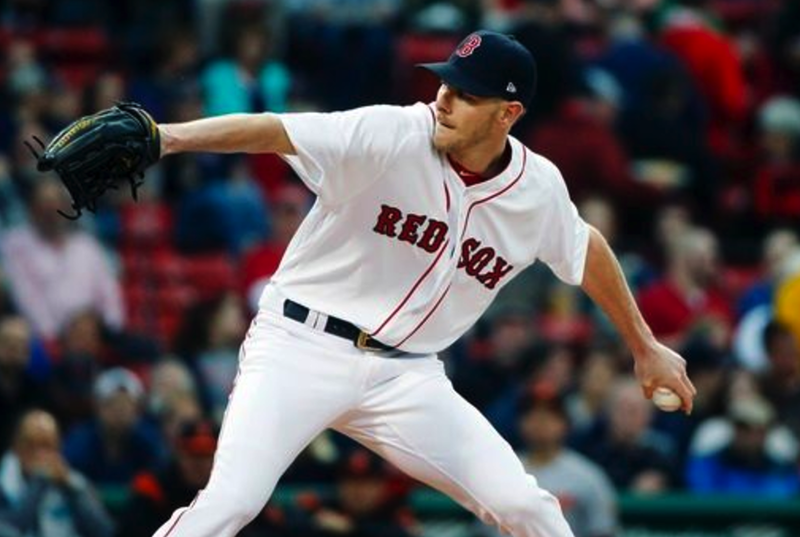 Sale did his part again, going eight innings, giving up up just two earned runs on three hits—while striking out eleven BrawlTimorians. Hanley Ramirez provided a big chunk of the offense with two more Monster shots onto Lansdowne Street—with Mookie Betts delivering the 'killshot' two-run double that gave Sale breathing room. Sale boosted team chemistry by throwing low behind Manny Machado his first time up—his teammates then provided the physics in the 5-2 win.